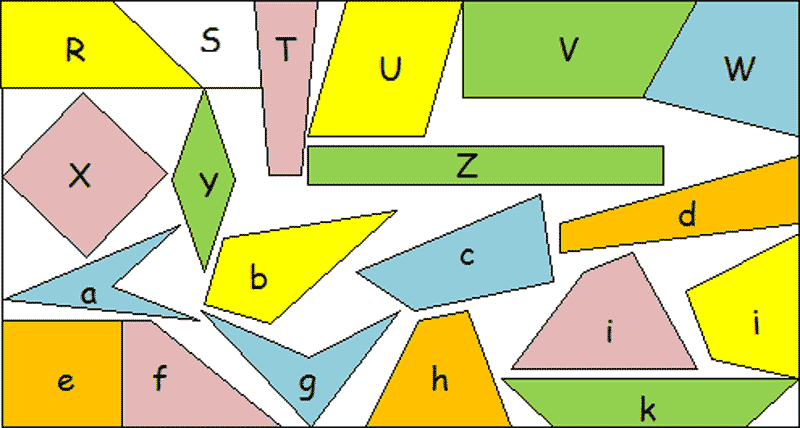 Sort out the triangles from the other shapes. What is different about them from the other shapes? Triangles are very rigid and strong. Have a look at the buildings around you and see how many triangles you can see in the construction. To help you: What do we mean by parallel sides? Answer: Parallel sides or parallel lines are sides or lines which never meet each other. A: A polygon with 4 sides. A: A quadrilateral in which both pairs of opposite sides are equal. Q: How is a rectangle different? A: A rectangle is a parallelogram with right-angles. Look at the diagram above. Q: So, what is a square? A: A square is a rectangle with all its sides equal. This also fits into the definition of a rectangle. Surprisingly, a square is a rectangle. Q: What is a rhombus? Is it a parallelogram? Has it got right-angles? A: A Rhombus is a parallelogram with two adjacent sides equal in length. 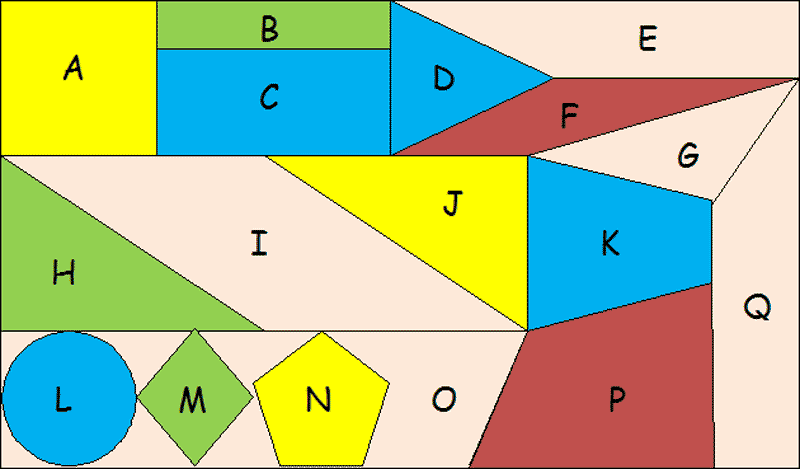 All 4 sides are equal in length. Q: What is a trapezium? A: A quadrilateral with two, and only two, opposite sides parallel. You need: A variety of shapes. 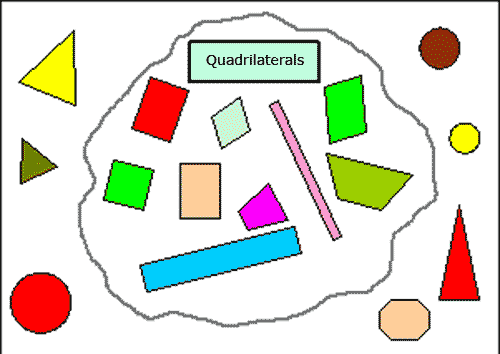 You will see that squares are used in later units for Polyominoes (tessellating squares) and Tangrams (puzzles using squares) and Geoboards (shapes based on a square).